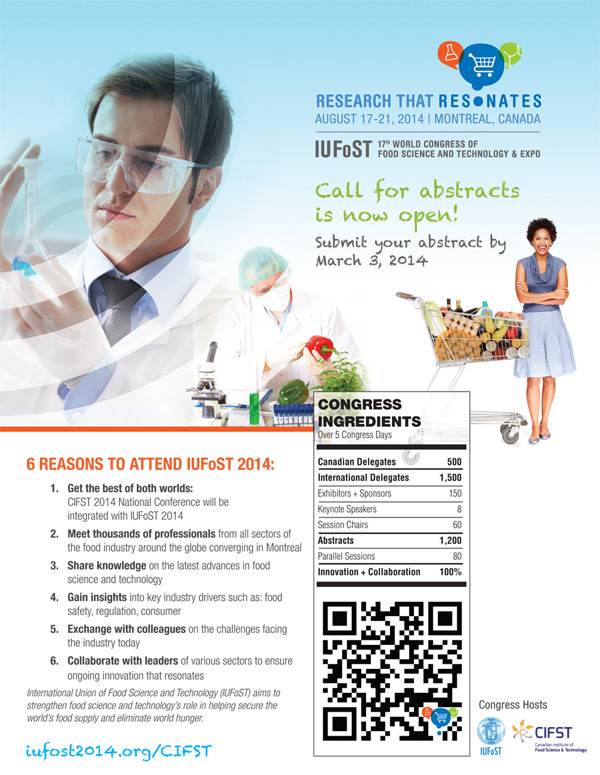 The 17th World Congress of Food Science and Technology & Expo will take place August 17–21, 2014, in Montreal, Canada. The call for abstracts is now open. Deadline: March 3, 2014.